February focus: The dark cold days of February should turn brighter at this weekend's boxoffice thanks to "Fifty Shades Darker" and "The LEGO Batman Movie." The openings are targeted to adult women and to families, respectively, and should deliver a one-two punch to boost ticket sales for the year to date. Through last weekend, per comScore, 2017's domestic gross is about $1.078 billion, down 2.8 percent from this time last year. Last week, 2017 was down only 0.2 percent vs. 2016. February kicked off quietly with the Super Bowl keeping millions of male moviegoers glue to their TV screens. Paramount and Vertigo Entertainment's PG-13 rated horror thriller "Rings" opened in second place to a calm $13 million. Directed by F. Javier Gutiérrez ("Before the Fall"), it reportedly cost $25 million to produce. Starring are: Vincent D'Onofrio, Laura Wiggins and Aimee Teegarden. Like most horror films, "Rings" played best to women under 25. The franchise's last episode, "The Ring Two," opened Mar. 18, 2005 via DreamWorks to $35.1 million and did $76.2 million domestically. Last weekend's other wide newcomer, STX Entertainment's PG-13 rated sci-fi romantic drama "The Space Between Us" was ninth with a soft $3.8 million. Directed by Peter Chelsom ("Hector and the Search for Happiness"), it reportedly cost about $30 million to produce. STX is said to be on the hook for only about $4 million thanks to tax credits, international sales and co-financing deals. Starring are: Britt Robertson, Asa Butterfield and Janet Montgomery. "Space" played best to women under 25. Universal and Blumhouse Productions' PG-13 rated hit horror thriller "Split" held on to first place for the third straight weekend with $14.6 million and a domestic cume of $98.7 million. This weekend should be many shades livelier with Universal Pictures' R rated romantic drama "Fifty Shades Darker" hitting about 3,700 theatres just in time for Valentine's Day movie dates. Directed by James Foley ("Perfect Stranger"), "Darker" is based on the novel by E.L. James. It reteams Dakota Johnson and Jamie Dornan from "Fifty Shades of Grey," which opened Feb. 13, 2015 to $85.2 million and did $166.2 million domestically. It should play best to women. Many of them will drag along husbands and boyfriends while others will team up with friends for a girls-night-out at the movies. In this episode, Anastasia (Johnson) confronts anger and envy from the women who preceded her with Christian (Dornan) while he, in turn, deals with his own considerable inner demons. Also likely to build boxoffice business this weekend is the PG rated 3D animated family action adventure "The LEGO Batman Movie" from Warner Bros., DC Entertainment and Lego System A/S at about 4,000 theatres. A powerhouse mash-up rooted in two blockbuster franchises, "LB's" voice talents include Jenny Slate, Will Arnett and Ralph Fiennes. The "Batman" franchise's 10 titles have grossed $2.2 billion domestically since 1989. The animated family action adventure "The Lego Movie" with its Lego Batman character was a huge success. It opened Feb. 7, 2014 to $69.1 million and did $257.8 million domestically. 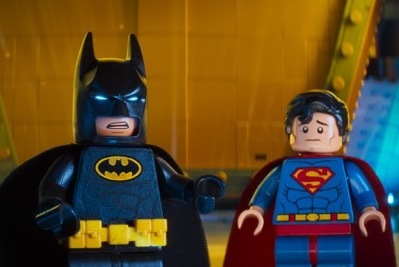 Between its "Batman" connection for parents and its "Lego" link for kids (and parents who grew up playing with Legos), "LB" should keep the multiplexes humming all month. Its storyline has Batman/Bruce Wayne (voiced by Arnett) fighting to save Gotham City from The Joker (voiced by Zach Galifianakis). Lionsgate's R rated action crime thriller "John Wick: Chapter 2," opening this weekend at about 2,900 theatres, is directed by Chad Stahelski ("John Wick"). Starring are: Ruby Rose, Keanu Reeves and Bridget Moynahan. It should play best to adult men. In the sequel, Wick (Reeves) finds out while paying a debt in the criminal underworld that there's a large bounty on his life. 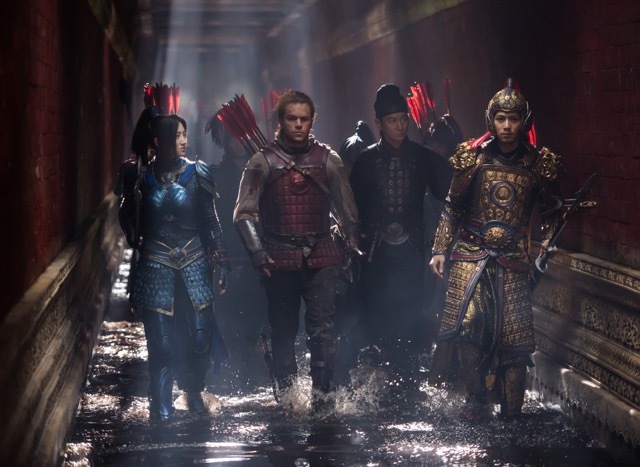 FEB. 17: Universal Pictures and Legendary Entertainment's PG-13 rated 3D fantasy action adventure "The Great Wall," from acclaimed Chinese director Yimou Zhang, reportedly cost about $150 million to produce. It should play best to adult men. Zhang is a two time winner of the British Academy's BAFTA for best foreign film -- in 1993 for "Raise the Red Lantern" and in 1995 for "To Live." Starring are: Matt Damon, Pedro Pascal and Willem Dafoe. "Wall" looks at the mystery behind the building over 1,700 or more years of China's 5,500 mile long Great Wall, and asks, "What were they trying to keep out?" "Wall's" already grossed about $219 million internationally, including about $170 million in China. It opened in China last Dec. 16 to about $67 million (including Thursday night previews). It's the first English language Hollywood "tentpole" movie ever produced in China. If it does well domestically, that could prompt a wave of Hollywood-China co-productions with casting designed to appeal to audiences in both countries. Warner Bros. and Village Roadshow Pictures' R rated comedy "Fist Fight" is directed by first time feature director Richie Keen (11 episodes of "It's Always Sunny in Philadelphia") and stars Ice Cube, Charlie Day, Tracy Morgan and Jillian Bell. It should play best to adult men. Day plays a school teacher who gets another teacher (Ice Cube) fired and is then challenged to an after school fist fight. 20th Century Fox and New Regency Productions' R rated thriller "A Cure for Wellness" is directed by Gore Verbinski (three "Pirates of the Caribbean" episodes – "The Curse of the Black Pearl," "Dead Man's Chest" and "At World's End"). Starring are: Dane DeHaan, Jason Isaacs and Mia Goth. It should play best to adult men. In "Cure," an ambitious young executive (DeHaan) is sent to retrieve his boss from an idyllic but mysterious "wellness center" in a remote Swiss Alps location. Realizing that things aren't what they seem, he tries to depart the hospital, but discovers that once you're there you never can leave. FEB. 24: Universal and Blumhouse Productions' R rated horror comedy thriller "Get Out" premiered to critical acclaim at the 2017 Sundance Film Festival. It's written and directed by first time feature director Jordan Peele, whose writing credits include the action comedy "Keanu." Starring are: Allison Williams, Lakeith Stanfield and Catherine Keener. It should play best to young adults. In this horror genre take on the 1967 comedy drama "Guess Who's Coming to Dinner," Chris (Daniel Kaluuya), a young African American photographer, visits his white girlfriend Rose's (Williams) family estate to meet her wealthy parents. Before long, however, he discovers that despite his being welcomed, things are dangerously different from how they appear to be. Lionsgate and Summit Entertainment's PG rated 3D animated comedy "Rock Dog" is directed by Ash Brannon ("Surf's Up") and stars such voice talents as Luke Wilson, Eddie Izzard and J.K. Simmons. It should play best to families. In "Rock," a Tibetan Mastiff finds a radio unexpectedly and sets out to fulfill his dream of becoming a musician. Open Road Films and Silver Pictures' PG-13 rated action thriller "Collide" is directed by Eran Creevy ("Welcome to the Punch") and stars Nicholas Hoult, Felicity Jones and Anthony Hopkins. It should play best to adult men. After Casey's (Hoult) girlfriend Juliette (Jones) suffers a medical emergency in Europe, he tries to cover her bills by doing a drug heist. When that doesn't work out, he winds up in an action-packed race against time to save her from death at a drug lord's (Hopkins) hands. Bottom line: As Oscar bellwethers go, the Directors Guild of America is one of the most reliable. The guild reminds us on its website that, "Only seven times since the DGA Awards inception (in 1948) has the DGA Award winner not won the (best directing) Academy Award." That clearly gives a significant advantage in the Oscar race to Saturday's 69th annual DGA Awards winner – "La La Land" director Damien Chazelle. Whether this also translates into a best picture Oscar win for "LLL" is uncertain, but over the years that's exactly what it's often meant because it figures that the year's best director should have made the year's best picture. More recently, however, the correlation between the two races seems more hit-or-miss and the Academy sometimes spreads the wealth around. In 2015, Alejandro G. Inarritu won the DGA and Oscar for directing "Birdman" and the best picture Oscar also went to "Birdman." Last year, for directing "The Revenant" Inarritu again won the DGA and Oscar, but the best picture Oscar went to "Spotlight." Its director, Tom McCarthy, had DGA and Oscar noms, but lost to Inarritu in both races. The seven DGA/Oscar directing match-up exceptions cited by the DGA's website are: (1) For 1968, when Anthony Harvey won the DGA Award for "The Lion in Winter" while Carol Reed took home the Oscar for "Oliver;" (2) For 1972, when Francis Ford Coppola received the DGA for "The Godfather" while the Academy applauded Bob Fosse for "Cabaret;" (3) For 1985, when Steven Spielberg received the DGA for "The Color Purple" while the Oscar went to Sydney Pollack for "Out of Africa." (4) For 1995, when Ron Howard won the DGA for "Apollo 13" while Academy voters voted for Mel Gibson for "Braveheart;" (5) For 2001, when Ang Lee received the DGA for "Crouching Tiger, Hidden Dragon" while the Oscar went to Steven Soderbergh for "Traffic;" (6) For 2003, when DGA went to Rob Marshall for "Chicago" while Roman Polanski received the Oscar for "The Pianist;" and (7) For 2012, when Ben Affleck won the DGA Award for "Argo," but wasn't Oscar nominated at all. The Academy's best directing choice was Ang Lee for "Life of Pi." Over the last three years, the DGA and the Academy's directors branch votes have matched up perfectly. For 2013, Alfonso Cuaron won the DGA and Oscar for "Gravity." For 2014, Alejandro G. Inarritu won the DGA and Oscar for "Birdman." And for 2015, Inarritu returned to win the DGA and Oscar for "The Revenant."